Above: Family and Friends. 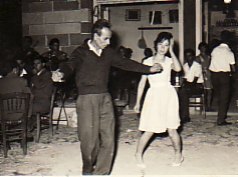 In the top row are: Nikos (himself) and Dimitrios Stypsianos. 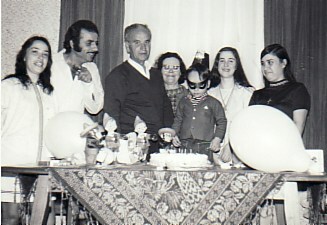 Above: At his grandson, Nikolaos' birthday. 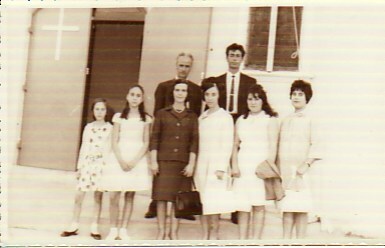 L-R: my daughter, Toula and her husband, Emmanouil; himself; his wife, Elpida; his grandson, Nikolaos, and his daughters, Filio and Efstratia. 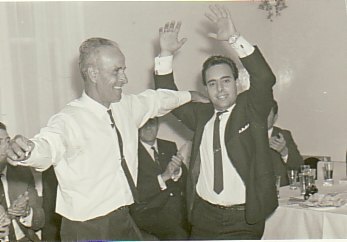 Above Right: Dancing with his friend, Ioannis.